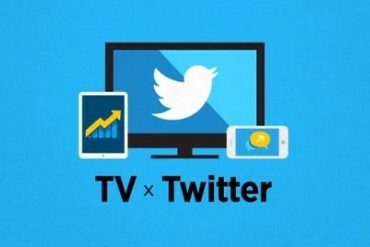 The $15B question for Twitter: Is being a handmaiden to TV the road to riches or the road to ruin? In case you haven’t been paying attention, Twitter is engaged in a torrid love affair with your television set, and the TV sets of hundreds of millions of other users. In part, that’s because Twitter makes a great “second screen” for people watching shows like Game of Thrones and the Emmy Awards, a place where they can discuss what is happening while it happens. There’s no question that TV networks and broadcasters have plenty of money, and so do the advertisers who want to piggyback on those networks to reach consumers. What Twitter ultimately wants to do is to insert itself between those two players and siphon off some of those billions, by making connections between advertisers and the users who are sitting at home with their second screens in hand — through deals like the one it just finished signing with CBS. Do more tweets mean more viewers? Over the past year or so, Twitter has spent close to $100 million trying to put together the pieces of that puzzle: it acquired Bluefin, a data-analytics company that specializes in tracking real-time sentiment about video content, and it also bought Trendrr. It has been pushing two things: targeted advertising related to TV shows and its related “Amplify” product. The latter inserts video clips with ads into the Twitter stream, while the former shows broadcasters and advertisers which programs a Twitter user has seen, and then allows them to target those users with follow-up advertising via promoted tweets. That all sounds wonderful, except for one thing: are users who have already seen ads on a specific channel or program actually interested in seeing a similar ad inserted into their Twitter stream? We don’t know. In fact, it’s just as likely that some users will be irritated by an advertisement following them from TV into Twitter — in which case, those ads could actually have the opposite effect to the one intended, by driving users away instead of attracting them. What if users don’t want to see TV ads? Twitter maintains that its promoted tweet campaigns, and the engagement that comes from them, are proving to be effective — and in fact are substantially more effective than similar efforts from Facebook. But there is still a large question mark around the two central principles behind both the targeted ads and the Amplify service: namely, 1) that tweets about a show help drive increased viewership of a show, and 2) that showing users who tweet about a show ads they have already seen boosts the likelihood of them buying something. @bmorrissey no. I would bet 1-2% of viewers tweet. It sometimes correlates but it doesn't drive TV ratings. It’s also possible to agree that tweets about a show might help drive viewership of that show, without seeing how that translates into huge amounts of advertising revenue for Twitter. It could be true that Twitter helps drive more eyeballs to Game of Thrones, but it doesn’t necessarily follow that because it does so, the network will want to sign an ad deal — it might decide to just rely on the Twitter crowd to drive traffic and then keep all the money from the ads for itself. There’s a much larger issue as well, which is that as Twitter starts to cater more and more to television shows and broadcasters — up to and including putting video clips inside tweets that show up automatically in a user’s stream — it inevitably becomes more cluttered, more Facebook-like, and therefore inherently less interesting to many of its die-hard or loyal users. What impact is that going to have on the platform’s user numbers, or engagement figures? That’s difficult to say. Is Twitter just an old media tool? At least one observer — Olivier Toubia of Columbia Business School — argues in a recent research paper that rather than being some kind of new-media success story, Twitter is actually starting to look a lot like the old media that many thought it would disrupt or even replace: that is, a centralized network that primarily exists to allow the hoi polloi to follow the activity of celebrities with whom they never engage or interact (or to consume existing content like TV shows but in a slightly different way). There’s no doubt that as it has grown, and tried hard to justify the value that its investors have given it, Twitter has become a very different animal than it used to be. Instead of an uncluttered stream of short messages, some with links and some without, the service is now filled with expanded tweets that include photos, brand names, video and other content — and the redesign of its apps makes it increasingly difficult to avoid all that extra material. Will all of that become the engine that powers a giant advertising machine, or will it be a mirage that leads Twitter towards a MySpace-style decline? That’s a topic that is likely to weigh on the minds of many investors as they contemplate that upcoming multibillion-dollar IPO. So I’m thinking: what will happen to Twitter when people do not want anymore broadcast TV, but, say, Netflix? The rising of video streaming is a contrary trend to Twitter’s moves, it’ll catch up ahead. So another question rises: should Twitter hug a declining media or should it push new trends?